Violet Beisel, age 93, of Swift Current passed away peacefully on July 6, 2018 at Cypress House, Swift Current, SK. Violet was born on January 30, 1925, the eldest daughter of David & Molly Herbel — she was born and raised in the German community of Beaver Flat, SK, (northeast of Swift Current). When Violet was 18, she married Victor Beisel of the nearby Prairie View area. Together, they farmed the Beisel homestead until retiring to Swift Current in 1994. Violet learned and perfected the art of cooking and baking from the best — her mother, Molly. From a young age she worked hard inside the house, doing chores, and on the fields. There was always something cooking in her kitchen — sheets of noodles drying, bread and buns rising, and supper frying on the stove. All the while she butchered chickens, hoed the garden, washed clothes with the wringer washer, and hung them on the line – yes, all at the same time! Throughout her active years, Violet was very social. She was always getting ready for company, going to Bible study, or playing games, like Ludo, Rook, and Skip-Bo with her friends. She played softball at the 17 Mile Bridge and participated in some Rush Lake sports days. She enjoyed watching the Toronto Blue Jays up until this year and was an avid Toronto Maple Leafs fan, until there were too many teams in the league. Violet leaves to cherish her memory, her two daughters, Judy (Cliff) Ratzlaff (Swift Current, SK) and Janette (Garry) Resch (Swift Current, SK); her seven grandchildren, Vivienne Beisel, Victor (Kim) Beisel, Shauna (Ted) Woelk, Stacey (Curtis) Urquhart, Dustin (Jolene) Resch, Curtis (Marla) Resch, and Evan Resch; her thirteen great-grandchildren, Vanessa, Katrina, Jasmine, Angel, Willi, PJ, Heidi, Cam, Dale, Mackenzie, Alaina, Nate, and Charis; her great-great-grandson, Joseph; Deryn Lewis; her sisters-in-law, Grace Herbel and Lucille Herbel; Helen Beisel; and by numerous nieces and nephews. Violet was predeceased by her husband, Victor; two sons, Donald Wayne Beisel (in infancy) and Orville Beisel; her great-great-granddaughter, Laura Beth Woelk; her parents, David & Molly Herbel; her siblings, Eldon Herbel, Harold Herbel, and Mildred Rudi; her parents-in-law; her brothers and sisters-in-law, Herman Beisel, Jacob Steinley, Ken Rudi, Emma Steinley, and Rose Beisel; her niece, Donna (Herbel) Martens; and by her nephews-in-law, Harry Firus and Bruno Miller. We celebrate the end of your pain. May you rest in peace. 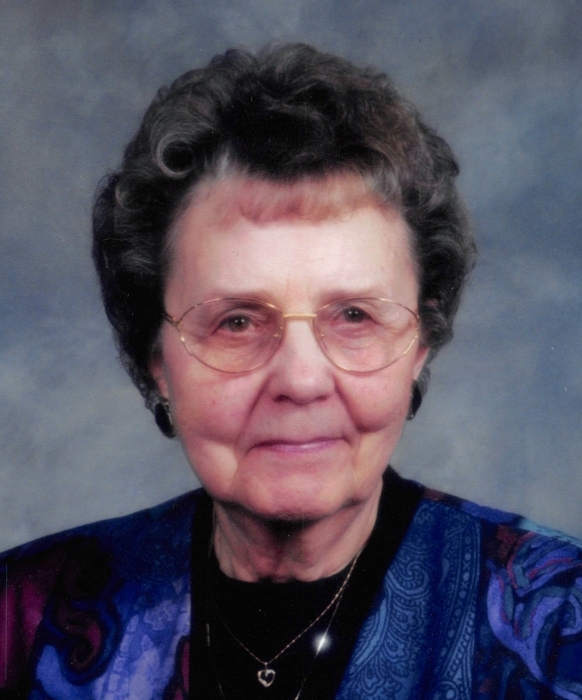 The Funeral Service for Violet Beisel was held on Friday, July 13, 2018 at 2:00 pm from Trailview Alliance Church, Swift Current, SK with Pastor Blair Froese officiating. “Great is Thy Faithfulness,” “How Great Thou Art,” and “In the Garden” were sung by the congregation under the leadership of Keith Kitchen, with Liz Ramage serving as pianist. The tribute was given by Dustin Resch. The ushers in the church were Dennis Priebe and Frank Rempel. The Private Interment Service was held prior to the Funeral Service from Hillcrest Cemetery, Swift Current, SK with Curtis Urquhart, Curtis Resch, Dustin Resch, Evan Resch, Victor Beisel, and Nate Resch serving as Pallbearers. Honorary Pallbearers were all of Violet’s friends and neighbors.